Connect the power lead coming from the camera to the RED power jack on cable. Connect the BNC connector to the BNC input from the cable. 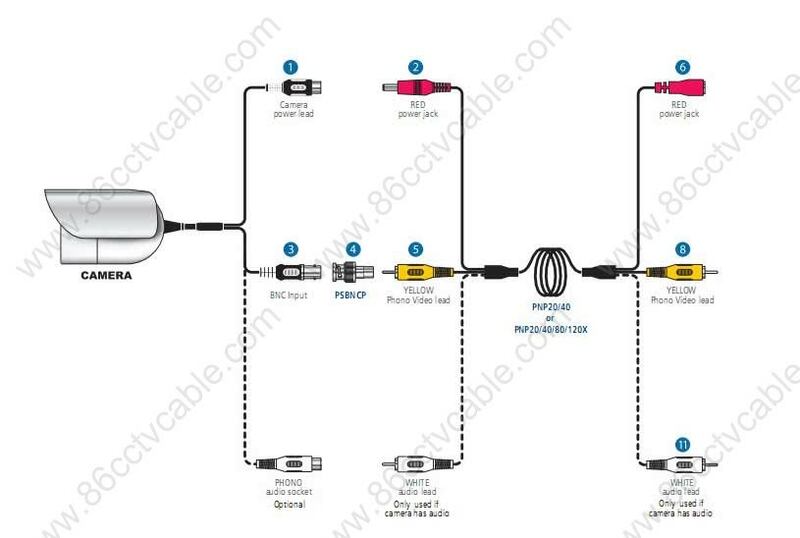 Connect this male BNC to Yellow Video Phono lead on cable. Connect RED power jack to the power supply cable – connect this to the mains power supply. Connect Yellow Video Phono Lead to the Scartps Block. Connect Scrat block to TV or VCR. 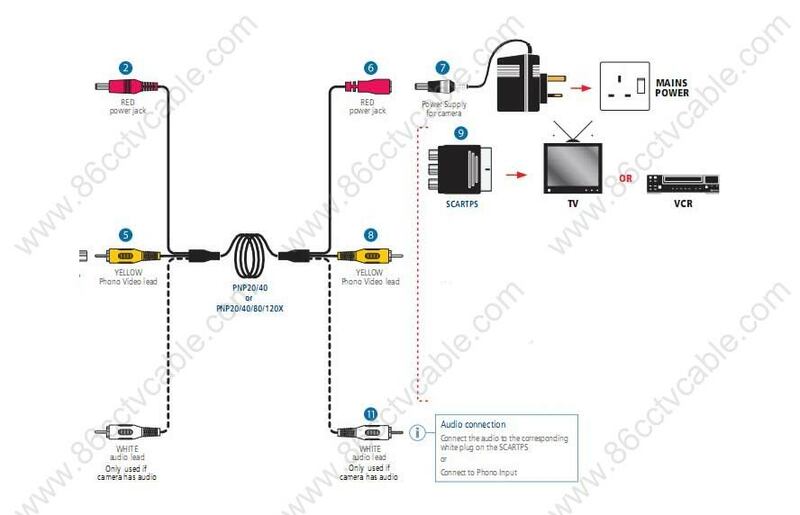 Connect the BNC connector to Yellow Video phono lead on cable. Connect the male BNC to the female BNC input on the recording device. ( PCI Card or professional CCTV Monitor. 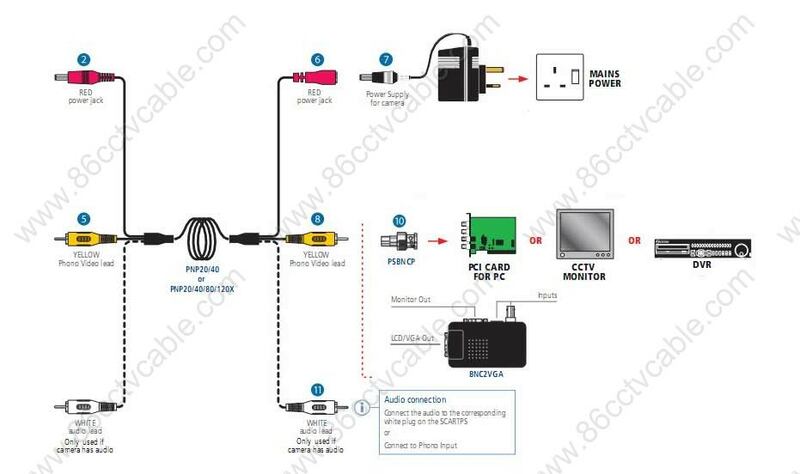 If the cable has audio, connect the White Audio lead to the corresponding input on the PCI Card/DVD unit/CCTV Monitor.